We live in some dangerous times. But, no one lives in more dangerous times than the revenue generating police who have to meet quotas. The only reason it’s more dangerous for the police to continue business as usual is because there are video cameras everywhere. We live in times where the police have been caught on tape screaming profanity at suspects, beating people up, planting drugs, killing dogs, and even killing unarmed civilians. Adam Kokesh is not just anyone. He is well-known around the world. He is a Youtube personality and did the video more on a dare than anything. Adam Kokesh is an antiwar activist who made a video of himself loading a gun on Freedom Plaza. I have been an Adam Vs. The Man listener for a couple of years. I miss hearing him on his podcast. Adam Kokesh is pro-constitution and antiwar. Pro-peace and preaches the non violent principle. I don’t see what he did as a crime. Loading a gun to make a video does not mean he moved around with the gun loaded. I didn’t agree with the particular act of civil disobedience that he was going to commit and did commit on July 4th at Freedom Plaza but I understand it. He has broken many unconstitutional laws by committing acts of civil disobedience. Adam claimed from a jail house interview that the drugs that were found at his home were planted in Adam’s house by the police when they raided it in Herndon, Virginia on July 9th when Parks Police arrested him with their SWAT team. Adam Kokesh, an anti-war veteran activist used his first and second amendment rights on July 4, 2013, at Freedom Square, in Washington D.C.. Mainstream media outlets dub him a pro—gun activist and he is– he just isn’t as dangerous as government officials consider him. Adam did not dump paint on Abraham Lincolns Memorial nor did he kill a minor yet he is facing five years in prison for making a Youtube video. What a joke. There is no way our tax money should pay for frivolous witch hunts. Veterans for Peace have resolutions and in these resolutions one states there is a need for civil disobedience in these times. VFP recognizes the value of non violent civil disobedience as a necessary part of the struggle for justice and peace in these desperate times understanding that there may be a high price to pay by individuals who decide to act. “Kokesh’s attorney, Peter Cooper, said after the appearance in the Superior Court of the District of Columbia that his client is making a “political statement,” but argued the government is doing the same thing “Their allegation about danger, I believe, is unwarranted,” Cooper said.” “He posted bond on Thursday for that charge, but “never saw the light of day” as police picked him up soon afterward, Cooper said. Next Independence Day people across the country will stand in protest of the Federal Reserve . I am as certain of this as I watch prices increase on everything. The Federal Reserve is not a government branch but is a privately owned company that has destroyed our republic for the last 100–years. Everything from the rising cost of food to the cost of war originates from The Federal Reserve. All of our problems can be connected to the beast that prints money out of thin air! 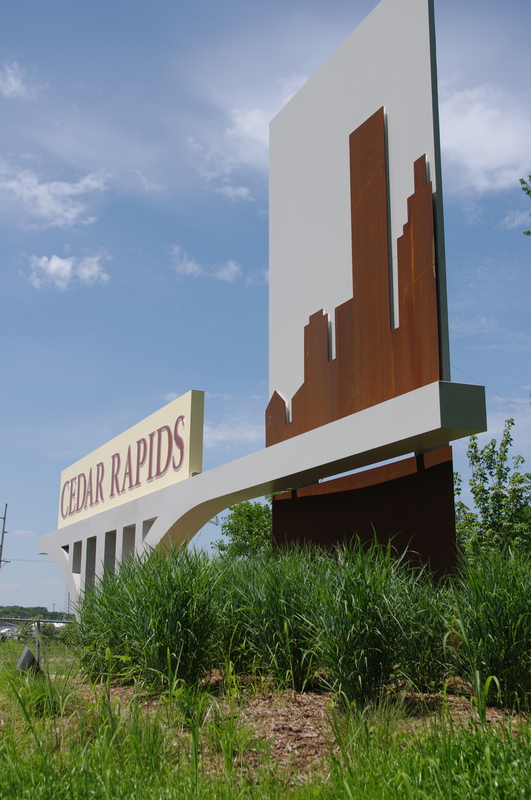 Cedar Rapids, Iowa: The new city gateway sign is 42 feet long and features an 18-foot-tall vertical panel of a downtown skyline, Cedar Rapids’ name atop an image of one of the downtown bridges and stone formations and native plantings at its base. It’s hard to see the stone and landscaping for the chain link. The taxpayers of Cedar Rapids paid over $156,000 to erect a monument of misplaced faith. Praise be to the forces of nature that keep obscuring it with weeds. The sign is not representative of the entire community. Nowhere on this sign does it say welcome. When visitors come to Cedar Rapids, they are not welcomed. The spires of Downtown stand as temples telling all where they should worship the powers that be. All that matters to the elite ruling Cedar Rapids is the Downtown District. Downtown has become a holy relic not unlike the mummified foreskin of some ancient saint. Iconic views of the holy must be presented to the ignorant traveler. May they know to bow their heads when passing the altar upon which local taxpayers are sacrificed. Woe be unto heretics. Those who blaspheme the sacred writ of ancestral swamp sand trust funds handed down through the ages must be punished. Be they ejected from chamber of the City Council priests who serve their Chamber Pot lords. If still learn the heathen rage, far worse shall befall them. As it was in 1920, Cedar Rapids Downtown District shall be forever and forever. Sales tax increase without end. Tax and spend. Tax and spend. Attached is the May 6, 2013 HUD Office of Inspector General Report. In other words, the City of Cedar Rapids has done whatever they wanted, and the State turned a blind eye. Could it possibly have something to do with the local relationships at the state level? I don’t care to know why you didn’t cover this huge issue; I just want our local news media to start informing the public on what is really going on in this town. Once the fraud and illegalities crash in on our town, our local media will be viewed as accomplices to this corruption. Many of us have told you over and over, but the media chose to ignore the facts. Worse, our newspaper continues to take even proof of wrongdoings by our city and spin it into something positive. Case in point: the October 2012 HUD OID Report. 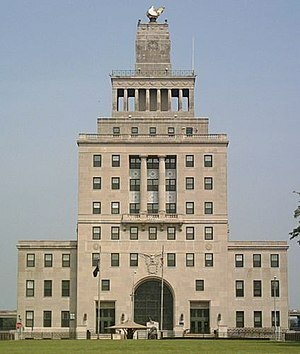 Rick Smith reported statements of deceit by Mayor Ron Corbett. He included Corbett as stating “there is no fraud.” The report never even eluded to such, but by including the Mayor as stating so, Smith led the public to believe everything is fine. OR are you going to do what they taught you in journalism school and report the news? You can donate anonymously, if you’d prefer. The funds pay for public information from the City and State who have increasingly set up roadblocks for me by increasing costs (by increasing the estimated amount of time it takes them to get me the information.) I do not pay myself out of this account. But, public information is not free and funds are running low. Do you live in Cedar Rapids, Iowa? If so, do you live in a flood zone? Was your home impacted by the 1993 floods? How about the 2008 floods? Yesterday, May 30, 2013 a fast moving storm caused some flash flooding in Cedar Rapids. The city is frantically working to prevent flooding, or so they claim. There is currently a flood warning in effect. KCRG reported last night that “several homes on 1st Street NW will be impacted”. Problem with that statement is there is only one home on 1st Street NW and “the basement is still dry.” The storm and flash flooding certainly impacted drivers though! 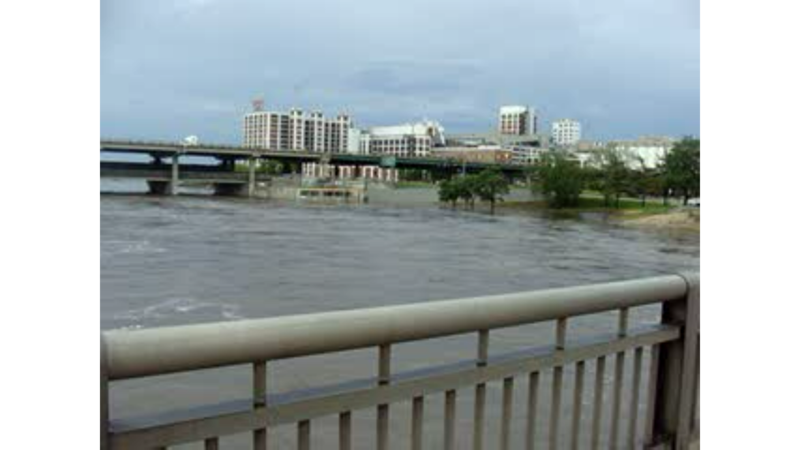 Like the city, homeowners also learned valuable lessons from the 2008 flood. Always trust your instincts and have a plan. I will be watching the river and updating my findings. Flash flooding and river flooding are different types of flooding. The river rising is a drawn out event and predictable but flash floods happen quickly without much notice. Both are potentially dangerous. If flood water is already starting to come up through your basement drain you might want to consider disconnecting your furnace and moving it to higher ground. If you don’t know how to do that call for help. I am no expert on the city but living on 1st Street NW as rebuilt homes were demolished after the 2008 flood I have a unique perspective on how things operate around here. I do not blame the city workers for doing things backwards because they are only following orders. I hope that a city worker who understands the frustrations of the people who live in the core neighborhoods will step up and run for city council. We have got to get this city back to operating without any agendas but to equally serve and provide essential services to it’s citizens. Everyone I’ve spoken to agrees that the city should have focused on flood protection before buying and selling Real Estate. Flood protection should have been the city’s first priority since the 2008 flood but it hasn’t been. Nope, instead of focusing on the real issues the Cedar Rapids City Council squabbled with people all over the city over buyouts in the name of flood protection while giving downtown players “sweetheart deals” for riverside property on the east side. When we voted for the Local Option Sales Tax (LOST) it was supposed to help rebuild flood impacted property and flood protection. FEMA did not require we move the Public Library and spend millions of our disaster dollars to acquire and remodel the event center three blocks from the river the city council did. FEMA did not require properties be bought out the city did. Remember the buyout program was a voluntary property acquisition after the 2008 flood. Monsanto is trying to monopolize the world’s food supply with their sustainable patents on seeds. Monsanto is the bully in the agricultural world. They have taken farmers to court to sue them for their land because one of their seeds blew in the wind onto the farmers land! Monsanto has their own police force that doesn’t need your permission to go on your land or go through your storage bins. Furthermore, they are not afraid to sue you if one of their patent protected seeds blows onto your land! Farmers lose with Monsanto. 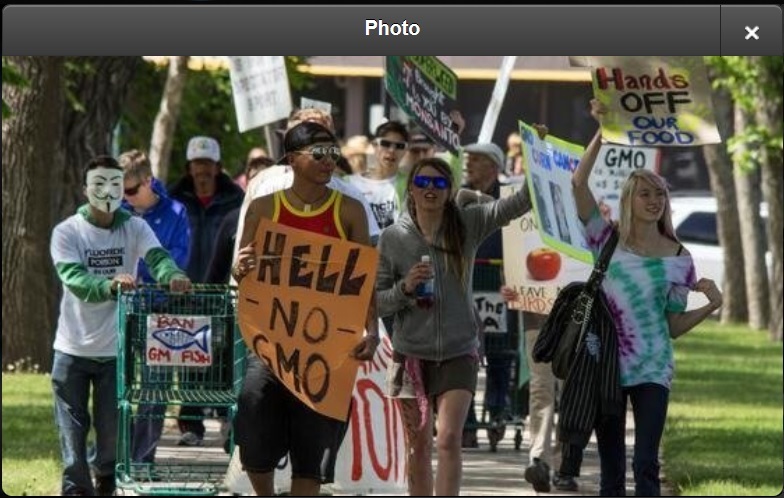 I heard nothing about the Monsanto protest on television on the mainstream media. I had to go to the internet to see coverage of the event. It was pouring down rain here in Iowa where there was a scheduled march in Des Moines and Iowa City (neither of which are farming towns) but there wasn’t one word from the media about it. What’s wrong with this picture? Where is the mainstream media on Monsanto having special protection from court prosecution if their genetically modified food is proven to be dangerous? If Monsanto is so confident with their product then why do they not label their goods? Thousands perhaps even millions of people marched in protest against Monsanto on May 25, 2013 in the United States and around the world and there wasn’t a peep about it on the mainstream media. Not one peep about Monsanto and their genetically modified foods. Not one mention of Monsanto‘s crimes against humanity. Nothing about their part in the creation of Agent Orange, a chemical used during the Vietnam war that killed American soldiers years after exposure, including my father. Monsanto is protected by the mainstream media and the federal government! I do not trust Monsanto with our food supply. I do not think that our livestock should be fed the genetically modified plant. You ever hear the saying “you are what you eat”. I I do not wish to be a piece of property owned by Monsanto. Roundup is a insecticide made by Monsanto. Do they own your yard just because you might use their product? Does Monsanto think they own the people or livestock that ingests their patented product? Monsanto has called Section 735 “a positive step to ensure US farmers and our food chain are shielded from supply disruptions caused by litigation over procedural issues unrelated to sound science or the safety of biotech crops.” Sen. Roy Blunt (R-Missouri) told Politico earlier this year that he co-authored the language of the amendment along with Monsanto. Previously, Blunt received $64,250 from Monsanto to go towards his campaign committee between 2008 and 2012. The media was all over the “pink slime” but say nothing about Monsanto or the outrage that consumers and environmentalists were expressing dissatisfaction with the systems blatant government protection of the company. The Federal Drug and Food Administration is headed by a Monsanto associate! All the information is in these videos if you choose to watch them. How much did taxpayers pay to rebuild, purchase and demolish those buildings on 1st Avenue and 1st Street SW in Cedar Rapids, Iowa? Too much! But, the only way that the people who paid for it can find out about it is by obtaining public information. How many people think that the Freedom of Information Act (FOIA) means free information? You would think that freedom of information would mean free information but it doesn’t; it only means you’re free to ask for the information and pay for said information. That’s right, if you want any real information you will have to pay for it! The equivalency of the Federal’s FOIA is the State of Iowa and City of Cedar Rapids’ “Open Records” law and ordinance, respectively. But, just how “open” are these records? 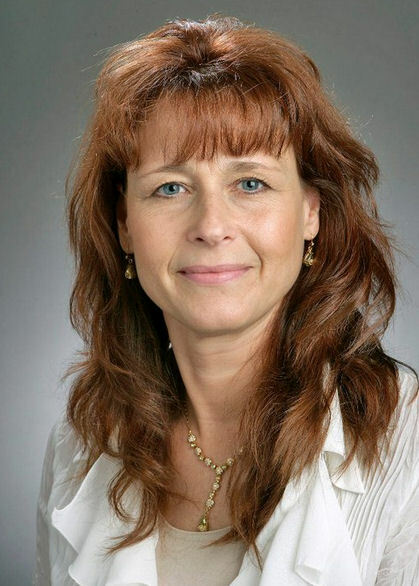 Lisa Kuzela was the Vice Chair of the Local Option Sales Tax Oversight Committee (L.O.S.T.) when she asked for pertinent public information regarding where some of the funds from the L.O.S.T. account had been appropriated. Kuzela asked for a list of the homes purchased with the L.O.S.T. funds and was told that it would “cost her $110 for six hours of time to compile the data”. They then used the excuse that it was a “privacy issue,” even though the same requested information for properties purchased with FEMA and Community Development Block Grant (CDBG) funds had already been publicly listed. So, why not make available those purchased with L.O.S.T? There was never any justification for their excuses. Don’t take my word for it go check it out yourself! Click here for information about The City of Cedar Rapids Greenway Area Address List. Click here for information about The City of Cedar Rapids Construction Area Address List. Kuzela is often charged for information requests from the City. On top of the research hourly fees, she is charged for scans – yes, scans! She is charged twenty-five cents per page to scan even though there is no ink or paper! If a citizen cares enough to request information they should not be charged for it if they are not requesting a hard copy of said information! What is wrong with the efficiency of our city if this information isn’t readily available – especially in the day of digital? Who are these people working for if they can charge taxpayers for public information – especially at a higher cost simply because they haven’t been well-organized in storing it?! Aren’t we already paying them to do their job, and isn’t this part of their job? This all just sounds absurd to me! But, it even gets worse! I’m simply not buying that in this day and age when everything is digital that they don’t have this information scanned already and easily accessible! It’s obvious that the goal here is not to help the taxpayers get information, so they can oversee how their money’s being spent, but to prevent it. The City continually comes up with different excuses to make it as costly as possible in order to deter Kuzela from obtaining public information. Click here for a link to Lisa Kuzela’s fundraising page. 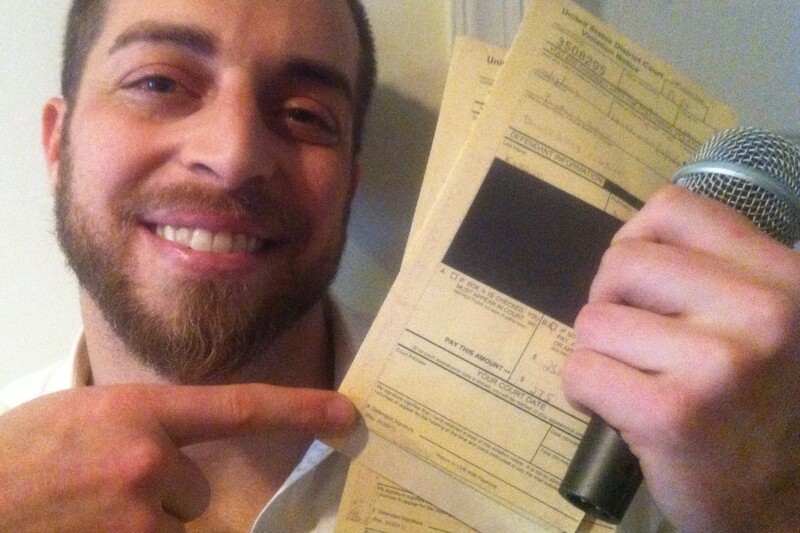 Political activist Adam Kokesh was released from jail this afternoon. Kokesh was arrested last Saturday for exercising his First Amendment right at a protest. He called for a “new American revolution” to begin on July 4 with a march on all 50 state capitols. Released 130524 with felony charges reduced to citations which I refused to sign. Played hardball. Won. Talk to you Monday. (Philadelphia, PA, May 24, 2013)— Political prisoner and activist Adam Kokesh has released a statement from inside the Philadelphia federal prison about his planned July 4th, 2013 Open Carry March on Washington, DC. The statement was read by comedian and activist N.A. Poe, until recently a fellow prisoner of Kokesh’s, today Friday, May 24 at 1PM in front of the Philadelphia federal prison. What follows is Kokesh’s complete and unabridged statement. Kokesh and Poe were arrested on Saturday, May 18, 2013 while speaking to a permitted marijuana legalization rally at Independence Mall National Historic Park in center city Philadelphia, in a space specifically designated for free speech. They are being framed on felony charges of assaulting a federal officer, despite overwhelming video footage to the contrary. “They just came after Adam [Kokesh] and N.A. Poe, the organizer of Smokedown – the only two there out of hundreds present who were taken into custody,” said Michael Salvi, an observer of the rally. At a preliminary hearing in front of US Magistrate Judge Thomas J. Rueter in the Byrne courthouse on Monday, May 20, 2013, Kokesh and Poe were denied bail. Poe was subsequently released on Thursday, May 23, 2013. Kokesh was denied release on the same day. Adam Kokesh is a former US Marine corporal and veteran of the Iraq War who is active for peace, marijuana legalization, the right to keep and bear arms and other libertarian causes. Kokesh is the host of talk radio show “Adam vs the Man.” http://adamvstheman.com. Complete information on Adam Kokesh’s arrest and federal caging is available at http://FreeAdam.net. This entry was posted in News on May 24, 2013. **I am not a gun owner and won’t be at any of the marches in July but I will be watching from where I live and praying that no one is hurt. It’s a BIG Deal! $5.99* .COM from GoDaddy.com! The city has bought and torn down rebuilt houses for nearly five years. I’ve investigated this myself since 2011! The only answers I’ve ever been given for this is that the “owners applied for the buyout” and that it is for the “city’s preferred flood plan“. Just because the city has a plan doesn’t mean that it has to make sense. Chris Earl’s investigative report generated more questions than answers for me. Is it only newsworthy if a Mathew 25 aka Block by Block house is rebuilt and demolished? How many other rebuilt houses were bought by the city with our tax dollars to be torn down? I know of two other properties that were rebuilt, occupied, bought by the city and torn down. They weren’t houses that Block by Block rebuilt but it was only a matter of time before they went after Block by Block houses. The houses that were rebuilt, occupied, and sold to the city by landlords never made the news! The question I have is why did they sell out? Were they offered an incentive? Did they sell out because they’d never be able to get that kind of return on the market? 107% isn’t a bad deal is it? I don’t blame the landlords for wanting to sell out, especially if there was an incentive. Chris Earl does a fair job in his reporting but I wish that the report would have focused more on the city taking federal money to tear down rebuilt houses than Mathew 25. I am more interested in the people who lived in those rebuilt homes. Where are they now? Were they given money to move? Are they happy? Would they have stayed if they were given a chance to purchase the house? Couldn’t these houses could have been sold through the cities “Roots Program“. The city has done a lot of negotiating with the federal government to get their money to tear down rebuilt houses but when it comes to anyone in the city trying to save a rebuilt house from demolition there is no negotiating with the city. Once the city agrees to take that federal money the laws dictate that the house must be demolished. After 1100 homes have gone to the landfill you would think that the city would be satisfied but they’re not. The will continue to take our tax money to demolish rebuilt homes until they are stopped! Who will stop them? April 21, 1836 -is the most important date in Texas history. San Jancinto Day is a state holiday and a day that has been reenacted for the last seventeen years at the San Jacinto Battleground State Historic Site in La Porte, just east of Houston. This reenactment is the largest in Texas. Having lived between Texas and Iowa throughout my childhood I have always consider myself ‘part Texan’. I attended 4th grade at Nolanville Elementary in Central Texas during the Cold War in the 80s. This was a time of great tension between the United States and the USSR. Organizers of the 2013 festivities have “nixed” the Texas Nationalist Movement presentation at San Jancinto Day festivities. The movement in Texas that has been working towards succeeding from United States of America. Organizers of the festival have also denied the Texas Nationalist Movement a booth to disseminate their materials because they are “too political”. When I heard about this decision the Texan inside me became outraged! It would seem to me that these festival organizers would want to embrace the Texas Nationalist Movement and their message because they portray the very spirit that San Jancinto Day celebrates! Aren’t these festivities held in a public place funded by public money? Is this public money not some how funneled to the Texas Parks & Wildlife Department and their San Jancinto Day organizers by politicians? I don’t want to seem petty but I would like to know! Additionally, why are the festivities being held a day early, on Hitler’s birthday, instead of the date in which it was declared a state holiday, April 21. I fully support my friends and family in Texas who are ready to break free from this tyrannical government. I get it. I hope that the Texas Nationalist Movement is successful so other states may follow suit. Succeeding from the United States of America is the right thing for Texas to do.The loss of our sovereignty to move towards a “one world government” is not the way our founders envisioned America! Texas could be a beacon of hope for the rest of our country. Don’t think Texas is tyrannical? Ask parents of the 12-year-old girls who were forcefully vaccinated for HPV against their will and without parental permission how they feel. I couldn’t imagine what my mother would have done if the school would have tried to give me a shot to vaccinate me for a sexually transmitted disease before I ever became sexually active! When I attended Nolanville Elementary my teacher threatened to spank me with a paddle for losing my book . I told my mother I lost the book and that the teacher threatened to paddle my behind if I didn’t find it. She went to the school and confronted the teacher and she told him if he ever talked to me that way again that she would beat him with a paddle herself. Those were the days. Texans fought and won the battle of the Texas Revolution becoming an independent Republic. In 1845 it joined the United States as the 28th state. The state’s annexation set off a chain of events that caused the Mexican–American War in 1846. In my opinion, denying the Texas Nationalist Movement the opportunity to distribute their information goes against everything that the holiday stands for. Independence is deeply ingrained in the character of the people of Texas and I hope that the Texas Parks& Wildlife Department and their “festival organizers” will reconsider allowing the Texas Nationalist Movement to give their presentation. 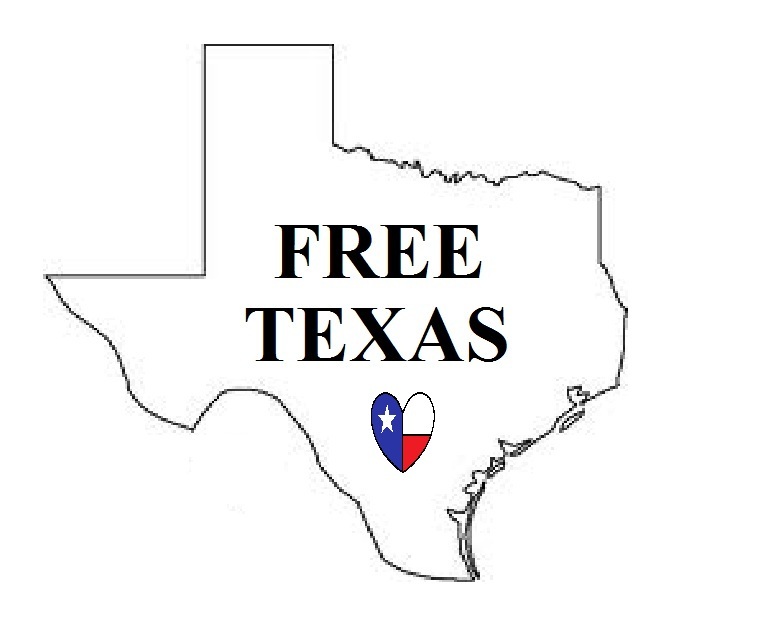 I also hope that the organizers will allow Texas Nationalist Movement a booth at the San Jancinto Day festivities so that they may express the freedom that is being celebrated. Wow, I can’t believe some of the things coming out of Rand Paul’s mouth there live on CSPAN. Just kidding, yes I can. You don’t grow up with Ron Paul as a father and not come away with deeply rooted ideas against tyranny. I love that he is standing up for the constitution. I love the anti-war statements he’s made. He is covering a lot of ground. Could you imagine having all that information at your fingertips to cover more than 12 hours of time? 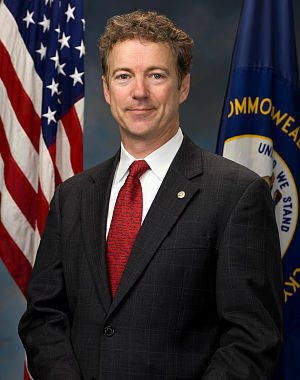 I am impressed with the other senators who have come forward to help Rand. Under no circumstances should the government be able to use drones against American’s overseas or on our soil without due process. Rand Paul will make his own path in politics and this filibuster is the beginning of that. I am thankful he grew up in a home where patriotism and the Constitution is at the utmost importance. I feel like the questions that Senator Rand Paul brought up are legitimate and must be answered! I have been against the drones since I learned of their existence. I do not like the idea of killing people at cafes, weddings, or barbeques. That’s cowardice and cruel. We should never have “collateral damage” and to all you American’s who still think it’s a good idea to have this drone program here at home– well I just don’t know what to make of you or your kind. I was very unhappy with Rand and his support for Mitt Romney during the election but I felt like he made up for that a little bit today. He still has a long way to go but he’s done more to protect our constitution than any other senator on that floor!